They do what they promise they will do. They are always on time, and they are very clean. I would recommend them. They're prompt, very tidy, and very professional. There is no job too big or too small for them. They show up on time, and they know what they're doing. I also like how clean they are. Consistent, and they have a good line of communication, which is nice. 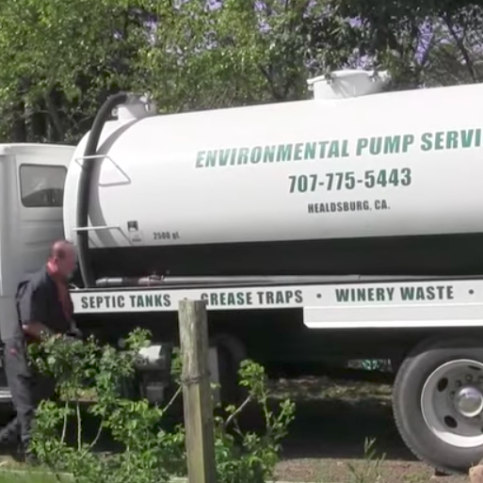 Environmental Pump Services, Inc. cleans restaurant grease traps, provides fryer oil collection, pumps septic tanks and provides wine waste removal for wineries. 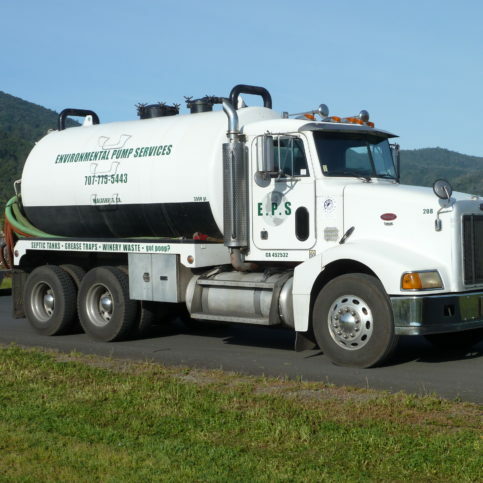 The family-owned and operated company works with commercial and residential clients in Sonoma, Marin, and Napa Counties on the proper cleaning, service, and maintenance of their septic, grease trap, and wine waste systems. Technicians are available seven days a week to handle emergency situations. 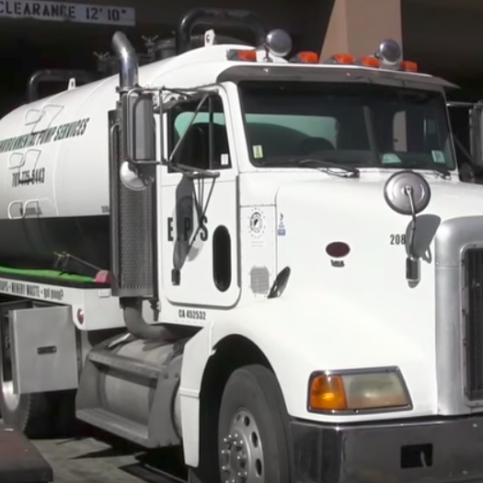 Environmental Pump Services disposes of its clients’ waste in the most environmentally-friendly ways possible. Grease trap waste and used fryer oil are taken to specialized facilities that convert the waste into energy and bio-fuel. Septic waste is taken to state-regulated sites where it’s treated and disposed of according to state regulations. The company is registered with the state to transport inedible kitchen grease for its commercial customer establishments. E.P.S. takes extra steps to educate its customers about their grease traps and septic systems so they can get optimum use out of them and avoid potential problems in the future. DIAMOND CERTIFIED RESEARCHED CAPABILITIES ON Environmental Pump Services, Inc.
Company Name: Environmental Pump Services, Inc.
DIAMOND CERTIFIED RESEARCHED ARTICLES ON Environmental Pump Services, Inc.
Environmental Pump Services has been pumping septic tanks, cleaning grease traps and providing wine waste removal for wineries since 2008. 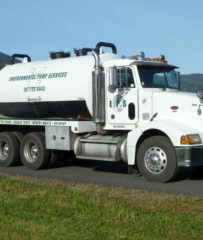 The family-owned and operated company works with commercial and residential clients in Sonoma, Marin, and Napa Counties on the proper cleaning, service, and maintenance of their septic, grease trap, and wine waste systems, and its technicians are available seven days a week to handle emergencies. The best way to avoid clogging or backup issues with your septic system is to have it serviced on a routine basis. Since the frequency of service can vary depending on the size of your tank and your household, consult a pumping company to determine an appropriate interval for your needs. Q: How often should I have my septic tank pumped? A: That depends on a few factors, including the size of the tank and the number of people using it. For example, if your household only has two people, your tank may only need to be pumped once every seven to 10 years, but if you have a household of four or more, it may need to be done every three to five years. Q: Do you offer ongoing maintenance? A: Yes. Based on the information we get when we service your tank for the first time, we’ll mail you a postcard to remind you when your tank is due for service. 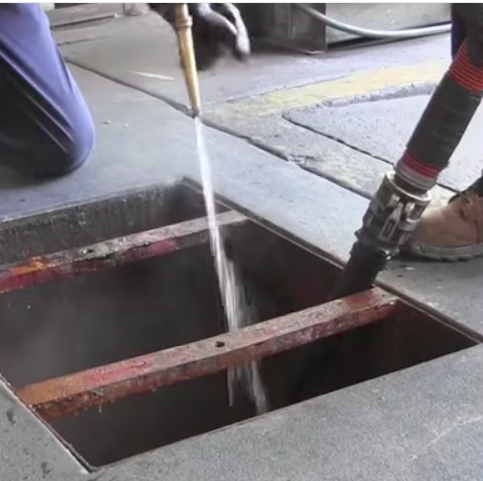 For commercial clients like restaurants, we can establish a regular schedule to have grease traps pumped as frequently as required by local waste water agencies. Q: Can you inspect my system while you’re cleaning it? A: Yes. Whenever we clean a tank, we inspect it for cracks, broken pipes and any other problems that need to be addressed. That way, if a repair is needed, you can get it taken care of as soon as possible before other issues arise. Q: Do you clean up after the job? A: Absolutely. We try to leave each jobsite as clean as it was when we got there, if not cleaner. We’ll even mop on our way out the door to make sure no residue or messes are left behind on the premises. Q: Why is my grease trap overflowing? A: It’s likely due to a lack of regular maintenance or subpar work on the part of another pump company. In many cases, when we get a new customer, we have to clean up another company’s lack of thorough maintenance on the tank to get the system back to maximum operating performance. SELECTED PHOTOS FROM Environmental Pump Services, Inc.
Blaine Cristando is owner of Environmental Pump Services, Inc., a Diamond Certified company. He can be reached at (707) 785-6584 or by email. A: Bryan Adams, during his 1984 “Reckless” tour. A: Playing nose guard and defensive tackle on the football team. 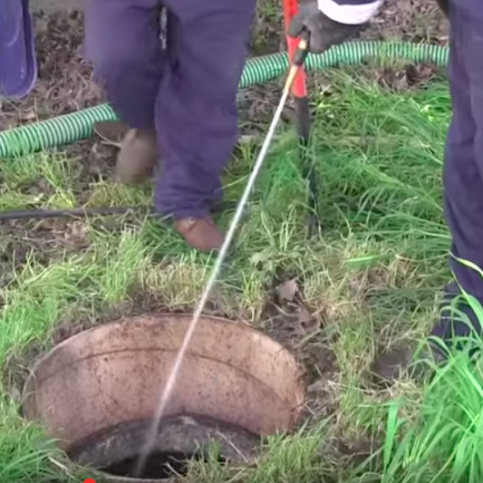 HEALDSBURG — Due to a case of “out of sight, out of mind,” residential septic systems are often neglected. In some cases, homeowners will go for two or three decades without having their systems serviced, which is comparable to driving a car 100,000 miles without ever changing the oil. This lapse of maintenance often results in a costly situation, whether in terms of labor-intensive service or system repairs. Since there aren’t any visual indicators of when a septic system needs to be serviced, homeowners often don’t know there’s a problem until it manifests itself in an outward manner (i.e. sewage backing up through sink or shower drains). To avoid such a situation, you should have your system serviced on a routine basis. Frequency of service will vary depending on the size of your tank and household, so consult a local pumping company to determine an appropriate interval for your system. In most cases, service intervals range from once every 10 years for a household of two to every three to five years for a household of four. HEALDSBURG — Host, Sarah Rutan: A septic system may be easy to ignore, but neglecting maintenance can result in adverse and expensive consequences. To learn more, we’re here in Healdsburg with Eric Hawley, vice president of Environmental Pump Services, speaking on behalf of Diamond Expert Contributor Blaine Cristando. Eric Hawley, vice president of Environmental Pump Services, Inc.: With residential septic, proper maintenance is going to keep you from having long-term, very costly repairs such as complete leach line, or if you have a mount system, failure. The longer you let the tank go, the more sludge and biomat you end up out in the field – and it completely plugs it and will shut it down. So proper maintenance will avoid that situation. So just a little bit of maintenance, saves a lot of money in the long run. A few North Bay companies seek to enhance their brands via humor on billboards, signs and other advertising. Diamond Certified RATINGS ON Environmental Pump Services, Inc.
Environmental Pump Services, Inc. : Average 9.7 out of 10 based on 175 unique customer surveys of customer satisfaction. I was in a pinch, and they got here in a hurry after a three-day weekend. They worked with my schedule very professionally. They went above and beyond the services required. They were punctual and knowledgeable. They were very nice too. He was the only one that followed through. He called us back in a timely fashion. They are really good. We have been using them for the last ten years, and they always do excellent work for us. They were timely and friendly. They did the job in a timely fashion. Their customer service, they are always kind and helpful. They are very quick and prompt. They are reliable, courteous, and friendly. Eric is a good, friendly guy, and prompt. They check in with you when they are done with the job to make sure that you are satisfied with the work that they did. They are clean and professional. They are prompt and on time.